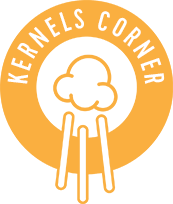 By Kernels Popcorn | Jun, 2016 | Tagged " Kernels Corner "
could not do this and hence the email to us. yes, her name was Paula too! She scored 10 out of 10. According to Rachel Bailey, Training and Instructional Design Associate, for Oculus, great customer service takes, “a caring nature, tireless amounts of energy, and a dash of discipline”. And it has to be practiced consistently. Thanks for taking the time to read my Customer Corner! Let’s all practice these tips and be proud of our service at Kernels!